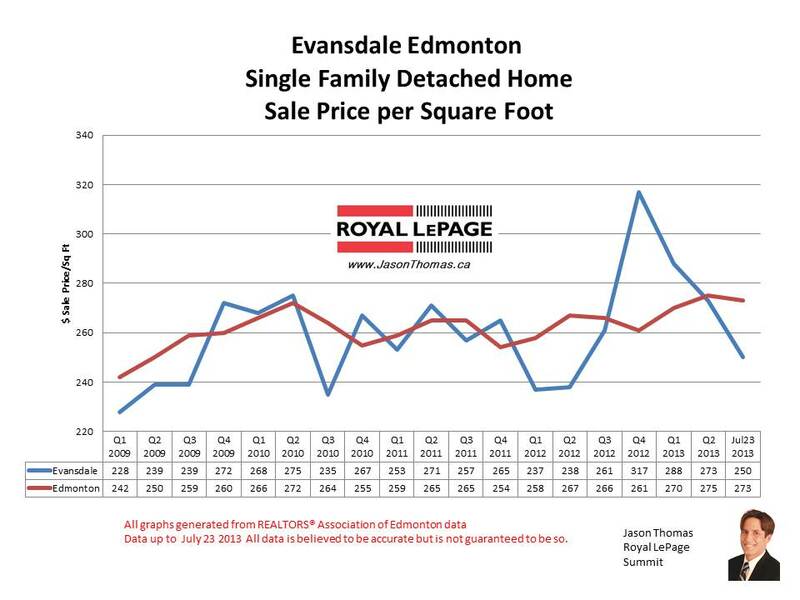 The Evansdale real estate sale price per square foot has moved back under the Edmonton average selling price per square foot in July. Evansdale did sell as high as $317 per square foot at the end of 2012. The Evansdale neighbourhood does tend to sell fairly close to the Edmonton average, and I expect Evansdale to finish the year stronger. The highest selling price for a home in Evansdale in 2013 has been $360,000. The average time to sell a house in Evansdale this year has been fast at 22 days. That is roughly twice as fast as the Edmonton average days on market in 2013 of 40 days.